Just a short note on some reviews that have been floating around. I found these recently and they for the most part are favorable. 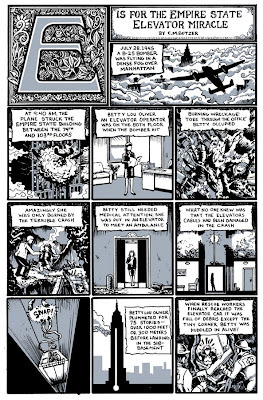 And I was nominated American Library Association for the Great Graphic Novels for teens award. For two weeks and a couple of days I relaxed and drew little in Hawai’i. I don’t want to complain but it did rain half of the time, which probably doesn’t evoke much sympathy unless you consider how little there is to do in a tropical paradise when it’s raining other than wish it wasn’t raining. So laid on the beach and dreamed of future projects working out the ins and outs of new soon to be stories and half starts. 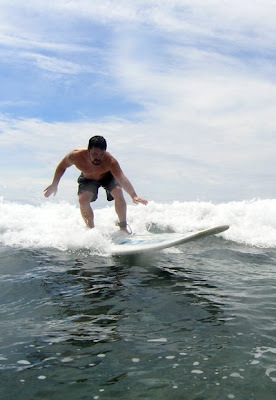 Oh, I tried surfing. If you ever wonder why those guys are so fit… just try it and you will know. I was sore for days. Comic Con and E is for elevator! I’ll be at New York Comic Con today so if your willing to plunk down forty bucks(REALLY!?!?) to see me amongst cosplay enthusiasts then coooool beans. It’s always an over the top event that afterwards usually requires a cool down period. Aside of that I dug this out of the bin and splashed it up a bit, It was my contribution to Rabid Rabbit #5 Alphabet City. It’s a 100% true story! 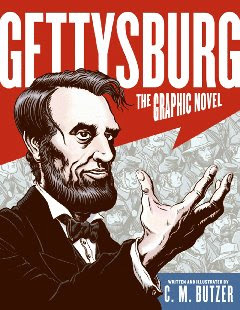 I will be signing my new book “Gettysburg- the Graphic Novel” at the New York Comic Con at the Harper Collins Table. 6 to 7 pm, February 7th at the Jacob Javitz Center. 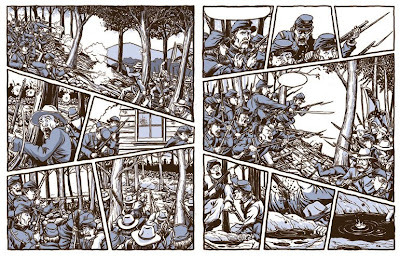 Here are some pages from my new book Gettysburg. I’ll be signing the book at New York Comic Con at the Harper Collins table (1814) at 6 pm on Saturday, February 7th. 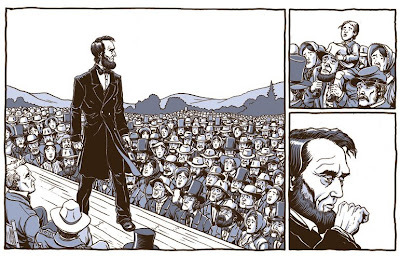 Hello all, I’ll be signing my book “Gettysburg, the graphic novel” at New York Comic Con this year on Saturday the 7th at 6pm at the Harper Collins table. Yes, one must, I just didn’t think it would be here. This is my first entry so I’ll keep it brief since I’m still organizing this and re-vamping my website. So, stay soon and we’ll see if this works out.